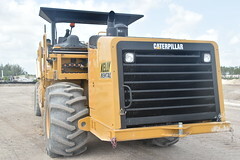 A key to our ability to self-perform where others are unable is a unique fleet of equipment. 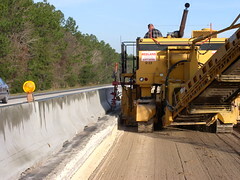 Stabilization: The RS-650 is used for stabilizing subgrade by mixing existing soils with the option of mixing amendments into the existing soils to increase their stabilization factor. 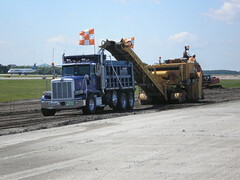 A good example of this is when increasing the Limerock Bearing Ratio (LBR) value of the subgrade. If the existing soils do not meet the required LBR value, say LBR40, amendments, such as limerock can be imported and placed over the existing soils and then blended with the RS-650 thereby increasing the LBR value. 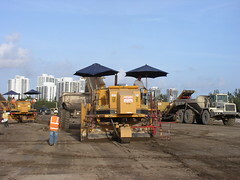 Another example is when the existing soils are native limerock, such as the conditions commonly found in South Florida. 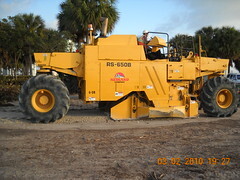 The RS-650 can pulverize most types of existing limerock in place thereby creating a homogenous mixture suitable for subgrade. 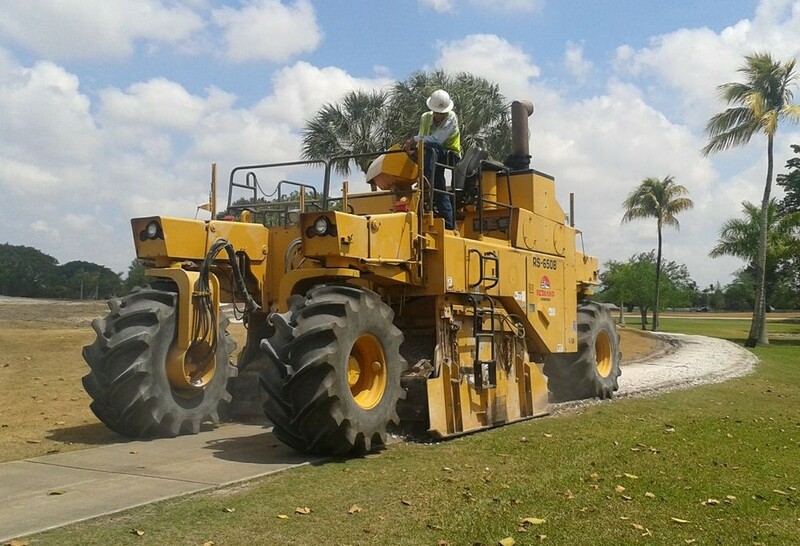 This process saves time and produces a better final product compared to the older means and methods such as rock plows and scarification. 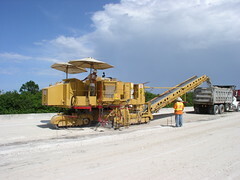 In either example above, once the blending is completed normal subgrade and finishing operations can proceed. 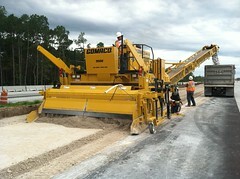 Reclamation/Recycling/Demolition: The RS-650 can also be utilized to pulverize existing asphalt and concrete. 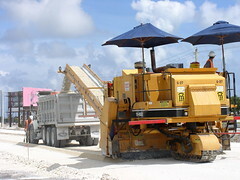 Asphalt roadways, asphalt parking lots, concrete sidewalks, and concrete curbing can all be pulverized in place. 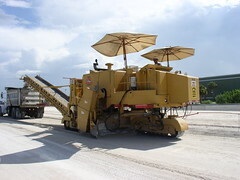 This is valuable and environmentally friendly for many reasons as this process can: save time compared with standard demolition; eliminate haul off and disposal costs of the materials mixed and reused on site; recycle a product reducing use of offsite raw materials; reduce import fill and stabilizer materials; can increase the stabilizing factor (LBR) of existing underlying soils. Agricultural: Redland’s pulverizer is also valuable in agricultural applications. The CMI 650 is an ideal choice for pulverizing existing rock land to create additional soil depth for row crops and tree nurseries. 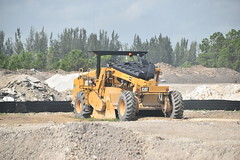 Tree stumps can be pulverized and mulched in place, eliminating costly offsite disposal. 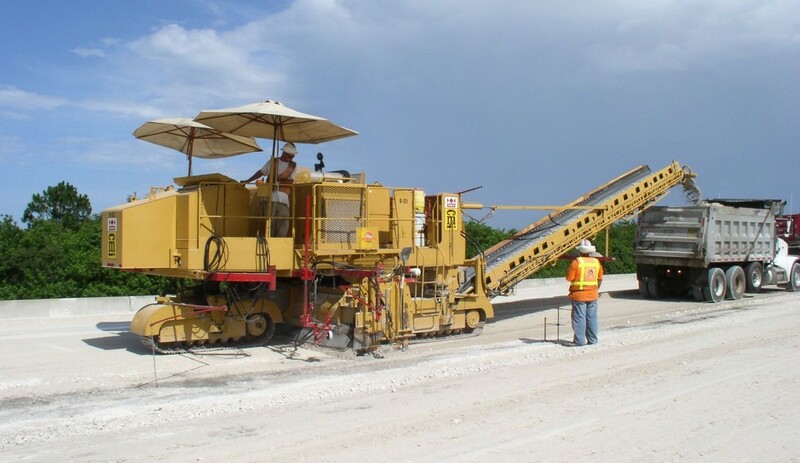 As always, we recommend that the Geotechnical, Civil, Structural, and other design professionals review your project’s specific needs to ensure the proper application is utilized. 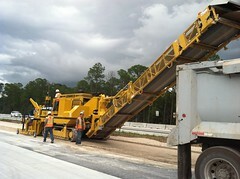 Note: concrete must be free of reinforcing and asphalt thicknesses must be within certain tolerances. 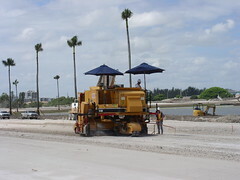 Our CMI Trimmer fleet is used to increase production and quality of finished base courses and subgrade surfaces on highway, roadway, airport, seaport and other large pavement projects. 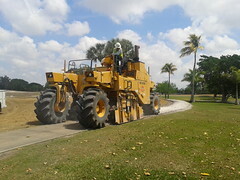 Literally millions of square yards (SY) of base and subgrade have been finished by these machines. 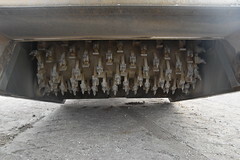 Saves Time: The trimming operation increases production compared to normal grader blade finishing operations. 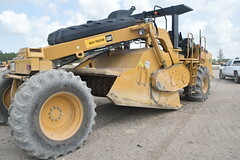 Once the machines are setup, grading production can be significantly increases over standard grader blade means and methods. In addition, cost savings can be achieved by the reduction of traditional staking and hub processes. 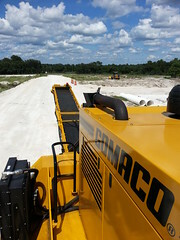 Increases quality: By utilizing automated grade control systems, these trimmers provide a more precise grade and cross-slope than conventional grader blade operations. 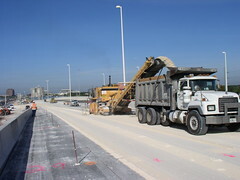 The system is capable of input of required grading information by use of string line, “skis”, cross-slope percentage, and manual entry. Our customers have received several compliments from their inspectors praising the finished product that these machines and crews produce. © 2008-2016 The Redland Company, Inc. All Rights Reserved. 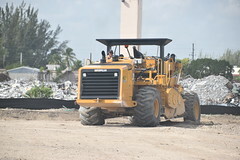 All text, graphics, and photographs are the property of The Redland Company, Inc., and may not be used without permission.